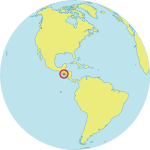 AHUACHAPÁN, El Salvador – “I could have died the day my son was born,” said Evelyn*, who became pregnant when she was only 13. Her pregnancy was complicated, and she spent most of the time bedridden and in constant discomfort. During her pregnancy, Evelyn had a variety of severe complications, including gestational diabetes and preeclampsia. “Our lives were in danger the four times,” the young woman, said about herself and her son. Pregnancy can be a dangerous time, especially for girls whose bodies are not yet mature enough for childbearing. Globally, pregnancy-related complications are the leading cause of death among girls aged 15 to 19. 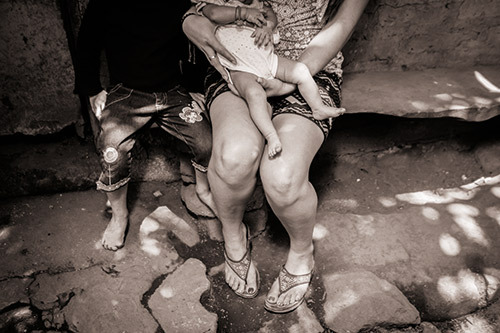 Yet early motherhood is common in El Salvador. Between 2013 and 2015, one out of every three pregnancies was to an adolescent mother, according information from the Ministry of Health. She was at home, alone, the day her baby was born. By chance, a local health worker – called a health promoter – dropped by to check on her, and realized her life was on the line. Evelyn was rushed to a hospital for an emergency Caesarean section. There, physicians couldn’t believe she was about to become a mother. “I was told I should be playing with dolls or at school,” Evelyn said. Adolescent pregnancy is one of the biggest sexual and reproductive health challenges in the Latin America and Caribbean region. Factors contributing to the region’s high rates of teen pregnancy include widespread gender-based violence, lack of comprehensive sexuality education, and barriers to sexual and reproductive health services. In El Salvador, UNFPA is working with the government and local partners to increase awareness of these issues. Students, teachers and parents have been targeted with training sessions, educational programmes and awareness-raising messages, all covering the issues that fuel adolescent pregnancy as well as the consequences of early motherhood. Community members learn about topics including sexual violence, the importance of eliminating child marriage and how to prevent unintended pregnancies. This year, for example, in the San Rafael Cedros municipality, awareness-raising activities were carried out with the support of the Canadian embassy, reaching approximately 300 students from five different schools. UNFPA also organized a cycle of workshops for public officials. These events, supported by the embassy of the United Kingdom, focused on human rights, gender equality and the protection needs of sexual violence survivors. These trainings are part of broader efforts to help ensure that human rights are considered during policymaking. For example, the workshops will help the government implement the Local Interinstitutional Roadmap, a step-by-step process for institutions that assist survivors of sexual violence. As for Evelyn, her problems did not end when her baby was delivered. Born early, he was immediately whisked away for special treatment. Four years later, he continues to have health problems. Evelyn, now 18, says she wants others to know about the dangers of early pregnancy. “I’m telling my story because that day I was lucky the health promoter dropped by. If she hadn’t come to check on me, I might not have lived to tell it, and my son may have not been born either,” she said.